One of a handful of music producers who can rightfully be called legendary, Rob Fraboni was born to a musically inclined family in southern California where he started drumming for his first band when he was twelve years old. Just a couple years later he hitchhiked to Hollywood where he got in the habit of sneaking in the backdoor at Gold Star Studios so he could observe sessions produced by the legendary Phil Spector. In 1971 he moved to NYC to study under Al Grundy at the Institute for Audio Research. Soon he was an assistant engineer at the Record Plant where his peers included the likes of Jack Douglas, Jay Messina, and Jimmy Iovine. 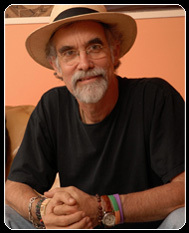 At the Record Planet Rob worked with John Lennon, Patti Labelle and the Bluebelles, Allen Ginsberg and Bob Dylan. After moving back to Cali in 1972 Rob was hired to maintain the gear at The Village Recorder. But his skills were quickly recognized and he was promoted to chief engineer. 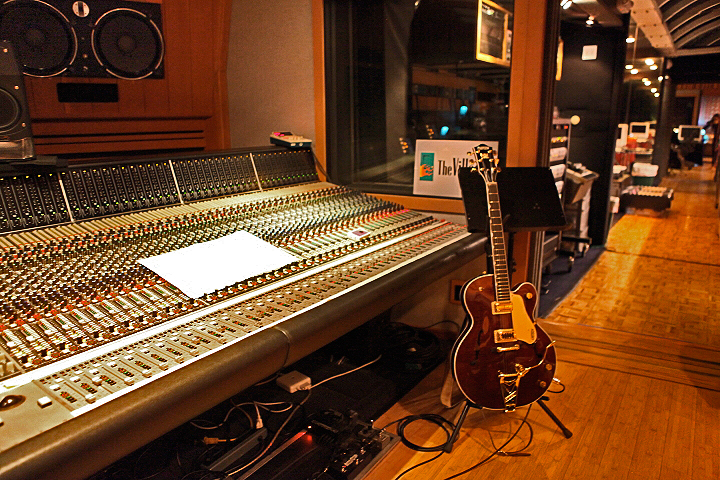 He designed Studio B where he recorded his first hit record “Sail On, Sailor” by the Beach Boys. He mixed half of their Holland record, then went to work on Goat’s Head Soup for the Rolling Stones, “You are so Beautiful” by Joe Cocker, and Planet Waves for Bob Dylan and the Band. Dylan invited Rob to be his sound consultant for the Dylan/Band tour in 1974. The following year, Rick Danko found a house built in 1958 in Malibu that Elvis had rented for a couple of years. Mister Ed, the talking horse of black and white television fame had been stabled there off-season. Dylan & The Band hired Rob to design and build a recording facility at the house that became the legendary Shangri-La Studios. For ten years Rob was president and co-owner of Shangri-La where he worked on classic records by The Band, Eric Clapton, Wayne Shorter, and Bonnie Raitt, the album Green Light of which was nominated for a Grammy. During that decade Rob was hired to produce the music for The Last Waltz, Martin Scorsese’s ground breaking documentary of the last show by The Band. Rob faced some interesting challenges. A buzz in keyboardist Garth Hudson’s tracks required the virtuoso to re-record all he had played. It took three months for him to transcribe and replay what he had played in one night. At the concert, which Rob attended as a guest of Eric Clapton, Rob found the sound men arguing during his solo on “Further On Up The Road” and he noticed Eric’s guitar was too low in the mix so he jumped in and pushed it right up which got a rise out of the audience that you can see in the film. The Band and Scorsese asked him to handle the post- production of the film soundtrack and accompanying LP. Upon Scorsese’s suggestion, Rob innovated a new style of mixing for the film. Watching the footage he would ride the volume of the instruments to reflect who was featured on the screen creating an impressionistic mix that added an engaging and unique quality to the soundtrack of the film, which was nominated for an Academy Award and the LP soundtrack was nominated for a Grammy. In 1985 Rob moved back to NYC when Chris Blackwell hired him as vice president of Island Records. He executive produced the record that introduced Melissa Etheridge to the world, signed Etta James to Island, and remastered the entire Bob Marley catalog. Rob left Island just before it was sold to Polygram in 1990. Since then through his record companies Domino Records, Ardeo Records and ISM Records he has released albums by Ivan Neville, Alvin Lee, John Mooney, Rusty Kershaw, Cowboy Mouth and many others. In 1995 he produced the most rare outdoor recordings ever made of the Nyahbinghi sect with Keith Richards in Jamaica. The work featured membranophones played at Rastafarian groundation ceremonies, vocals and guitar, and was released on Keith’s Mindless Records label as The Wingless Angels. 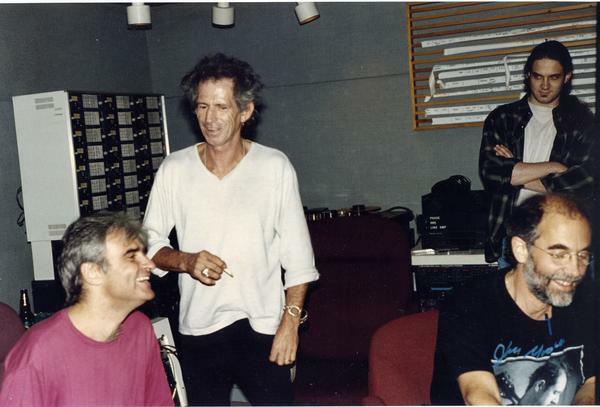 In 1997 Rob produced Keith’s songs for Bridges to Babylon by The Rolling Stones, which was nominated for a Grammy. Rob won a Grammy in 2002 for his production of Keith Richards’ song “You Win Again” on Timeless, the Hank Williams tribute album. Most recently he’s been helping out Edward Sharpe and the Magnetic Zeros. My guitarist and writing partner learned more about recording in one phone conversation with Rob than in all our years of studio and home recording. As a singer I’ve always hated using headphones. Rob liberated me from them, pointing out that the split second delay in hearing when a singer is in the room with the drummer creates an ease to the groove that the precision of instant snare drum in your ear loses. Rob also explained to us why one well-placed mic on a drum kit can make a much better recording than the standard practice of a mic for each drum. In essence, to mic each drum makes the mixer the drummer, when what is really needed is a recording of the drummer working the kit with all the harmonics of the room intact. The fetish for precision, which led us to ProTools and sampled musicians, is one reason music is less exciting today. Another reason is digital recording. When my band was starting out, a mastering engineer by the name of Hank Waring was a good friend to us. Hank was known for his hot masters, including “Born to be Wild” by Steppenwolf. Hank worked with Bob Marley in the early days and was one of the first white men to visit Trenchtown; kids there would touch his skin, thinking he was covered with ashes and there must be black underneath. He had a dust covered recording studio downstairs where he gave The Germs, X and other classic Los Angeles punk bands their start. Hank told us his theory that digital was destroying music. He said all his female employees got headaches from early digital recordings. He explained that the unbroken flow of analog music is like streaming water, and compared digital information packets to a subliminal clickety clack of train tracks. Rob has developed a process he calls RealFeel to restore the flow to digital recordings. He was kind enough to demonstrate it at my kitchen table. I noticed that digital CDs and radio made my friends ask me to “turn it down” because the music was interrupting conversation. But once Rob applied RealFeel even louder volumes seemed to encourage communication, creating that talking by the campfire feeling that vinyl records give music. Rob used deltoid muscle reflex testing to demonstrate how digital music weakens us. No matter how hard we tried to keep our arms up we couldn’t; once RealFeel was applied we had no problem holding strong. Left with sample CDs I tried them out on my musicians, friends and especially skeptics. I would play the same song twice in a blind test. Almost unanimously everyone chose the RealFeel recording though they couldn’t explain why. My engineers studied the wav forms but couldn’t explain it. Rob has been in talks with big potential partners like Apple and Amazon, and plans are in process to introduce this technology to everything from hearing aids and television to movie soundtracks. Just imagine if Hank and Rob are right, we’ve been virtually imprisoned in the annoyance of digital sound for a couple decades now, what Neil Young has termed “The Dark Ages of Music”. Were there any special sonic influences that influenced you as a child? In August last year you spoke at a screening of “Last Waltz” in Minneapolis, did you hear anything new seeing it on the big screen 33 years after its release? Mainly it was an interesting experience because I had transferred my original VHS master of the film to DVD myself and compared it to the digitally remastered 5.1 surround mix that was later released, finding that I much preferred the original mix because as you pointed out, the mix was made to match what was on the screen and the new mix didn’t use that technique. It was immediately apparent to the entire audience in the theatre when we A/B’d the two and the crowd preferred the original mix so that was the one we screened. I had also applied RealFeel technology that gave the mix the analog feeling of the original release of the movie in 1978. You’ve had a rare view of the music industry, from the days when it is was rapidly growing and innovating, and a young gun such as yourself could find himself swept up to the heights of audio stardom, to the ruin it is today, with sales plummeting in flurries of pink slips as corporate conglomerates gobble up all the independents. Did you see this coming or did it take you by surprise? Do think there is hope for the music industry or do you think the golden days are in the past? I feel that the whole process has been gradual and insidious. This has been due to many factors from the advent of multi-track recording and the use of individual microphones on each instrument to the advent of digital recording. I watched a documentary on Bluegrass music years ago called “A High Lonesome Sound” and in it they showed chronologically the evolution of “The Grand Old Opry” and it was astounding to see it go from one microphone to 20+ microphones over a 20 year period and the sound went from having great depth and dimension in mono to a very small sounding stereo soundstage. That was eye opening but at that point, not a surprise. With the advent of digital sound it was more of a surprise because at first it seemed so accurate and noise free but as one continued to listen, it was apparent that there was something truly lacking in the emotional content. It was very hard to put your finger on though and it took time to really understand what was happening. I feel that digital recording is still in it’s infancy in a sense and what we are using now will ultimately be replaced by a system that will not sacrifice emotion for the sake of convenience. I know in my heart there is hope. To my ears great records like Exile on Main Street which may not have been perfectly clear analog but blended into a beautiful sonic stew are far less pleasing when parsed out into their individual details in their new digitally mastered forms. Do you think the lust for precision has helped or hindered the creation of music? That’s an interesting description: “The lust for precision”, because it’s very true. Digital is mathematically accurate but as I said above, sacrifices emotion in the quest for accuracy and convenience. It definitely hinders the production of music because the sound is fatiguing and you find yourself engaged in a fight between your left and right brain hemispheres. One has to work harder to achieve the same results, not to mention the temptation to over-perfect things and lose precious spontaneity. You once told me how you and some famous musician friends used to get together weekly to each share your favorite albums, and how CDs seemed to take the life out of that communal pleasure. Can you share that story, please, as it’s one of the “aha” moments that led to your RealFeel project. I had an apartment in Los Angeles that had a very large living room with a 25 foot ceiling. I had a nice pair of Tannoy Golds in there with Belvedere cabinets, kind of the cream of the crop and the room sounded really nice. I had 6,000 vinyl records and it was a music lover’s paradise and became an attractive place for my musician, engineer and producer friends to spend many hours there listening to music. Everyone from Glen Frey, Don Felder, Mick Fleetwood, Bonnie Raitt, Steve Tyler, and Joe Perry, to Eric Clapton would drop by. We would all be sitting with a few albums in our laps waiting our turn to play the songs we had picked. This would go on continuously for as long as eight hours a night, a couple nights a week. We did this for years between 1975 and 1984. Then something strange happened. CDs came on the scene and suddenly we found ourselves losing interest in our long listening sessions. It got to the point after about six months where we all lost interest in our intense listening parties. But it happened gradually over that six months or so and we didn’t really understand what was happening. RealFeel fascinates me because sound is such an intrinsic part of human life, and if it’s true that digital sound is subliminally irritating to the brain, and detrimental to our biology, then it’s one of the most horrible environmental pollutants we are immersed in. One we hear almost nothing about. Can you tell us a little about the reactions you’ve been getting when you demonstrate RealFeel to heavy hitters at the big companies who are considering implementing your technology? Honestly, at first there’s a bit of resistance and disbelief because as the name implies, it’s about feel more than sound. And there is a lack of awareness in general as to what’s really happening to the listener. Digital sound has the identical effect on the human body as fluorescent lighting. I find that musicians are much more sensitive to this, which stands to reason, and are quite ready to embrace it. But like anything new and different, there’s a certain resistance. Once one notices the difference and really feels the difference, it becomes hard to go back and becomes more and more apparent. It’s a universally accepted fact at this point that there is something “not quite right” about digital sound and it’s the subject of discussion by producers and engineers the world over. And one sees the consumers starting to pick up on this as witnessed by the renewed interest in vinyl records that’s growing at a surprising rate. One thing I hear frequently is that ‘no one cares, especially the “youth”. In my experience I have found that not to be true. It’s a question of education and awareness and the whole process is starting to pick up steam. One can find numerous articles in print and on the Internet on the subject at this point. And when you stop and consider the implications, it affects many areas of our lives, from cell phones to hearing aids, CDs, video games, DVDs, radio and television and movie theaters as well. And I haven’t even touched on mp3s which is sound at it’s chintziest. You’ve seen American society drift and twist through the protests of the 70’s through the punk rock revolution and the yuppie devolution all the way up to our current predicament. What do you think of Occupy Wall Street and the current political climate of the United States? Does it seem different to you or just more of the same? This is a very important and pressing issue that could easily be the subject of an entire article. People are being deceived. It’s deep and controversial. We’re in a pressure cooker. Something’s got to give. There is a tremendous lack of respect for the planet and all life upon it, plant and animal and human. Infinite growth is a fallacy. You’ve spoken about how improvisational and immediate Bob Dylan’s inspiration would be, and how there would be little conversation, he would play and The Band would jump in. I get the impression there was a sort of silent conversation going on between the maestro, his musicians and you. Was it exciting to be part of a process so different from the usual engineer behind the glass with a rehearsed band? It was an extraordinary experience. At that point in my career I was 22 and had been making records for seven years. I had never made a record where everything was performed live in the studio especially the lead vocals that were to be the final and only vocals. Believe it or not, at that point in Bob’s career he had NEVER overdubbed a lead vocal on any of his records. In fact the first record that he did where he overdubbed some of the lead vocals was the record he made with Jerry Wexler, Slow Train Coming. It was a little scary actually to think there was no room for error on my part. Bob and The Band were rehearsing for “Tour ’74” out in Malibu and they had only rehearsed three of the songs that ended up on Planet Waves. The rest of the songs were done spontaneously with The Band watching Bob hands on the guitar to know the changes. Typically they would play a song once and the next take or maybe two would end up being the final version. I was amazed by their ability to pull this off. I’m sure what made this possible was the fact they had performed so many shows together and knew each other quite instinctively. That, plus the fact they were so incredibly talented. 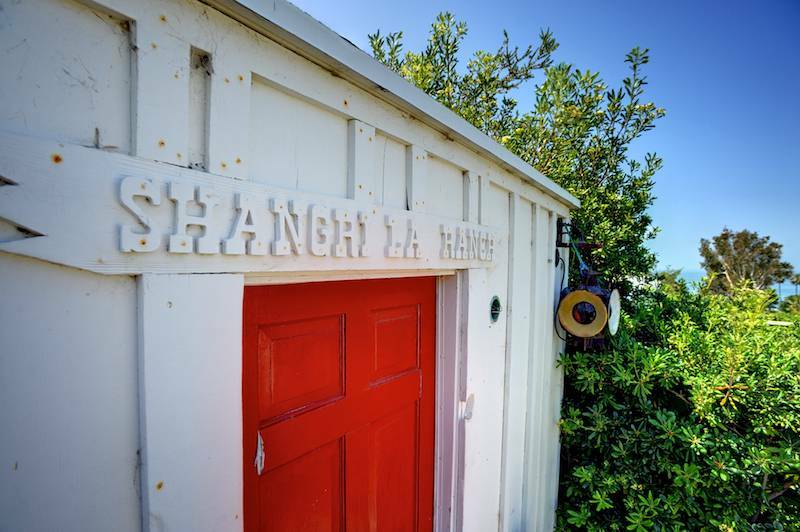 Shangri-La was was put up for sale last year for a little over four million and sold for about two million, quite a bargain considering the gear, its history, and its location across from Zuma Beach. I know the design was tweaked by the last owner, but does the studio still reflect your vision? Do you know if it will continue to function as one of the last of the great analog recording studios? Actually I was there about 18 months ago and it had changed very little from the original design. Beej Chaney was still the owner at that time. The thinking that went into the design of Shangri-La was to retain the feeling of a house and not to overdo the acoustic treatment. Some of the equipment had been changed but the layout and rooms were still as they were originally though they had of course been refurbished with time. The only architectural change was the opening of a rear window in the control room that we had covered. It did still have an analog multi-track but of course, ProTools had been installed as well. I tried to reach Beej just before the studio was sold, as Edward Sharpe and The Magnetic Zeros were interested in using it and I had heard he had sold the gear separately from the real estate. I am not sure about its future as a studio. Since almost every musician today is forced to be an engineer and producer, a predicament that reminds me of the old adage that only a fool has himself for a lawyer, what are the three best pieces of advice you can provide for recording today? 1. As an artist, be the artist and get at least one person to help. To really do yourself justice as a performer you need to be in your right (creative) brain. If one tries to engineer your own record you’ll find yourself constantly going back and forth between left and right brain. The technical side of engineering is initially left-brain. Get an engineer or at least a friend you can have assist you with these things while you’re performing. If you’re having to play everything yourself you’ll especially want someone to help you so you can be objective. 2. Have your studio setup done in advance and avoid confusion, the enemy of creativity. Keep it simple. This goes for your recording setup and your song arrangements. It’s easier to add than to take away. I find it preferable to use as few mics as possible and to carefully consider their placement. Generally speaking, further is better than closer. 3. Do your pre-production. Have a basic arrangement to build on and you’ll be able to have some spontaneity when it comes time to start recording. This will also help avoid the tendency to prop up a weak arrangement by overdubbing things to try to strengthen the song. You’ll find that the better your arrangement is, the better it will sound, too. Avoid doing too many takes in one sitting. If you’re not feeling it after a couple of takes, move on to another song and come back to the first one fresh, a little later. It’s much better to stick to one or two songs at a time and finish the recording of one song at a time, rather than cutting a number of rhythm tracks and having them all getting intermingled in your head. This helps keep more variety between songs. Great article, great engineer and Producer. Fraboni is correct on all fronts , using as few mikes as possible capture’s the artist,band and room.I remember Criteria in Miami the big room when engineers got the sound of the room it brought the artist and song’s to life. The Rolling Stones should go back to this method of recording in 2012 or whenever they make their next record I’ve never really cared for the sound of there last few records.